Nidzara Ahmetasevic is journalist, independent scholar and activist from Sarajevo. She volunteers with Are You Syrious? as one of the editors of AYS Daily Digest, and works with them in the field in Greece. She has published with, among others, The New Yorker online, EUobserver, Al Jazeera English online, and The Observer. She hold a PhD from the University of Graz, Austria. 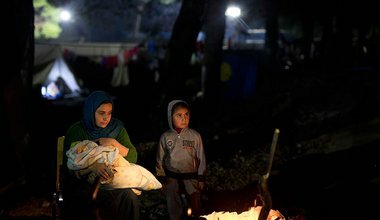 Pregnant women and recent mothers in refugee camps are exceptionally vulnerable, yet they often lack the care they need. New research in Greece documents forced cesareans, malnutrition, and post-natal neglect.